1. 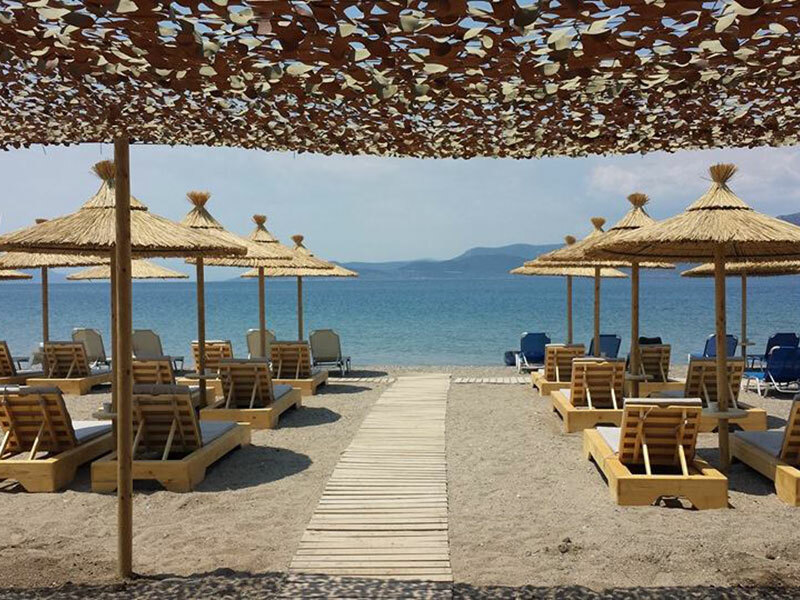 The Riviera Beach is a wonderful beach bar on a fully equipped beach next to the clear blue waters of Saint Nicholas area, which surprises us with its events every summer. 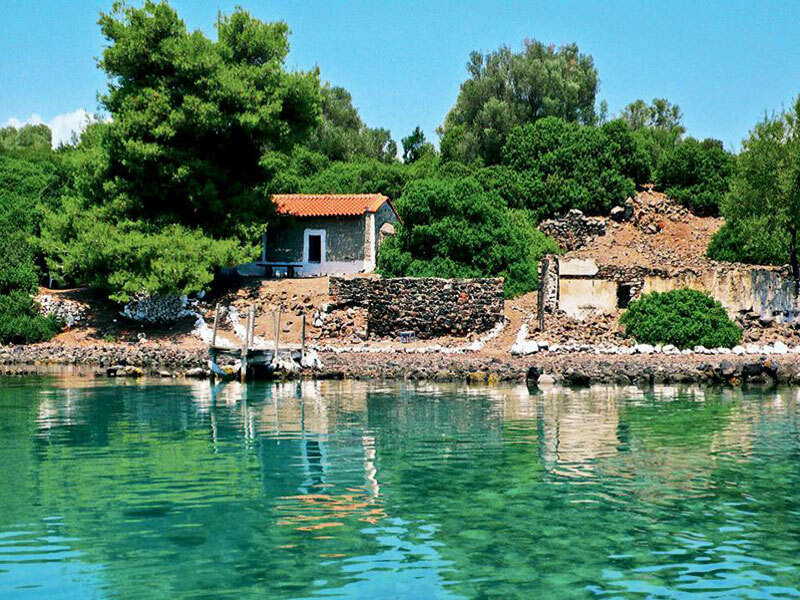 It is only a two-minute drive from Glaros. 2. 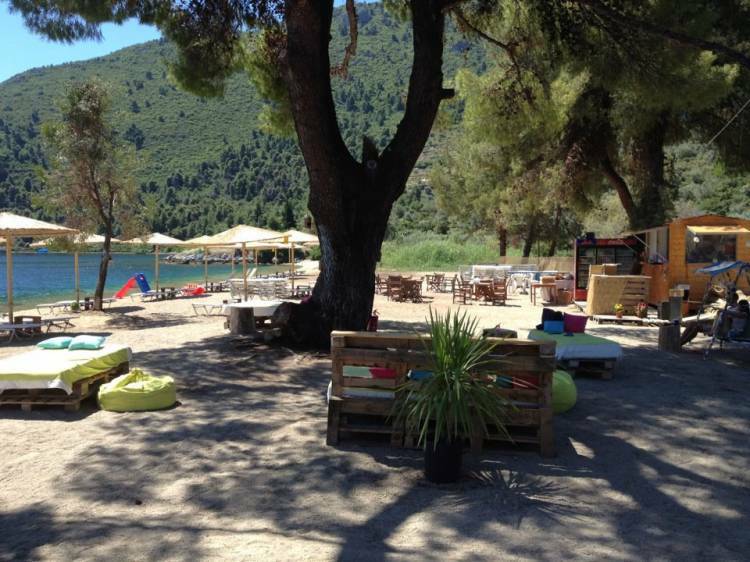 Porto Pefko is a sandy beach with a beach bar and sunbeds under the pine trees, outside Saint Nicholas area on the way to Yialtra. 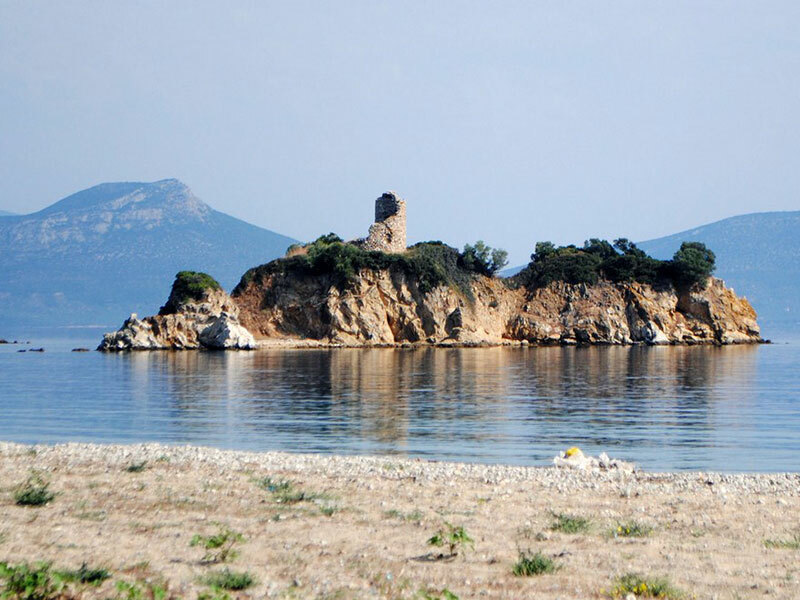 It is only a ten-minute drive from Glaros. 3. 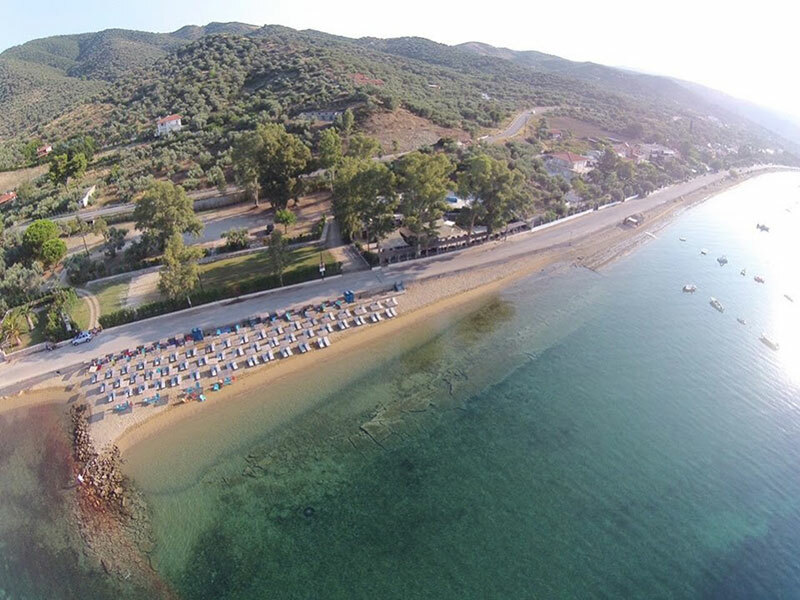 Mylos beach, named after a mill found in the area, is a quiet sandy beach located next to Yialtra village. 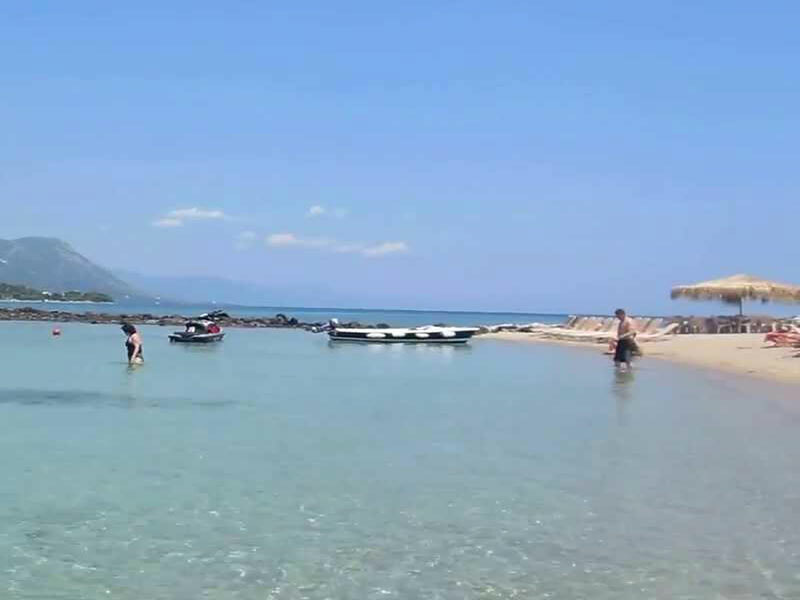 To reach this beach you take the coastal road, which passes through Saint Nicholas village, and then you drive towards Yialtra. Once you get there you head to Mylos. 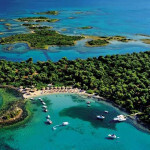 It is only a twenty-minute drive from Glaros. 4. 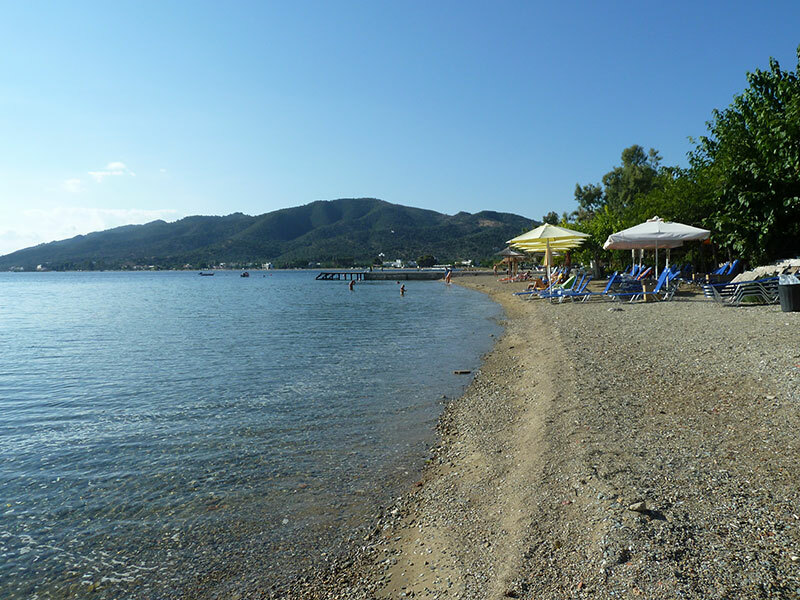 You can find the ‘Golden Coast’ beach next to Club Med. It is probably the most impressive beach in northern Evoia. It has got fine sand and it is organized. It is a meeting point for the young tourists of the area. You do not have to bring anything with you except for your bathing suit and your good mood. 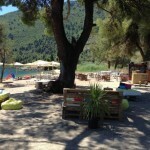 It is only twenty-five minutes away from Glaros by car. 5. 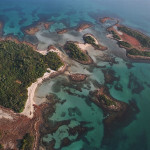 Lihadonisia: Evoia’s small Seychelles. A well-hidden paradise with turquoise waters, white sand and grills that broil everything! This is how one would describe one’s feeling after visiting Lihadonisia in a few words. 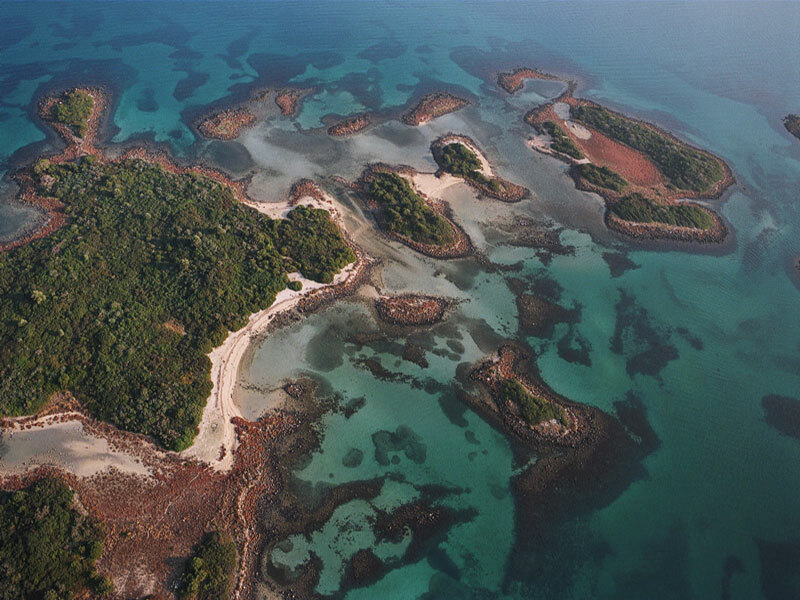 Lihadonisia is a cluster of seven small islands in the northern-west of Evoia, which are an ideal destination for one-day cruises and exploration, as they are always full of people who enjoy the crystal clear waters and the amazing scenery. To cover the basic needs, the island’s canteen has been there for years, run by Liberis family. 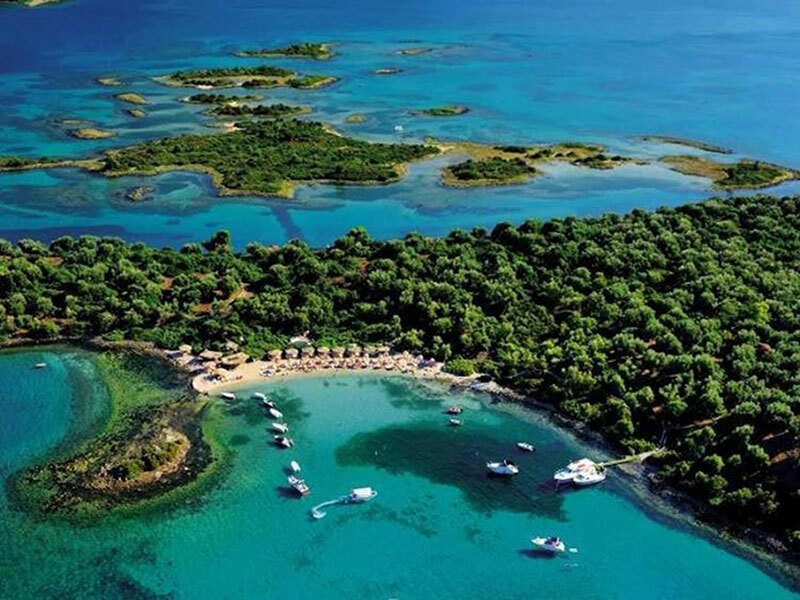 It is accessed by ‘Lihadonisia I’ and ‘Lihadonisia II’ fairies, and Mr Kostas Liberis will give you all the necessary information (telephone number: 697 2508181) about the point he will pick you up. It is only forty-five to sixty minutes away by car. 6. 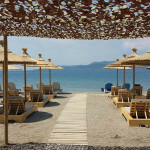 Right outside N. Pyrgos, there is a beautiful natural beach called ‘Nisiwtissa’. 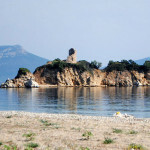 A few meters from the beach, there is a small island (islet) with ruins on its top. 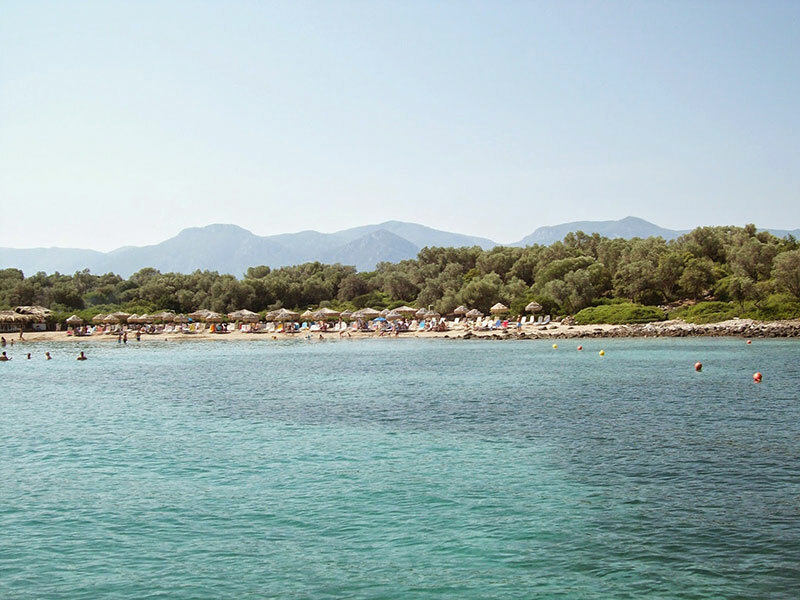 It is only a fifteen-minute drive from Glaros. 7. Tsokaiti is on Pefki area, between Oreous and Istiea. This is an area with upcoming tourist infrastructure, and big tourist crowds visit it during the summer months. 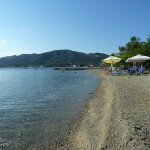 The west beach has got fine pebbles and sand and it is coastally connected to Oreous. 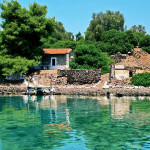 It is only twenty-five minutes away from Glaros by car.